With Kawasaki's latest Z900RS range proving to be hugely popular with retro bike enthusiasts, it seemed only right that we dedicate the second Devitt MCN Ally Pally Show Bike of the Day to the bike that inspired it; the Kawasaki Z1. 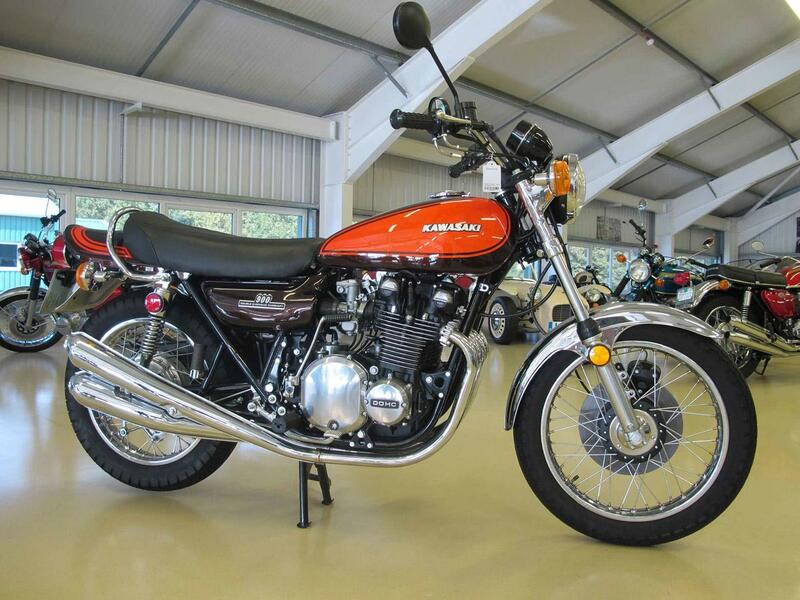 Part of a larger collection of 74 classic machines up for grabs at the show's Bonhams auction, there will be two Z1s available, both with a guide price of around £12,000 to £18,000 each. What makes these two machines so special is that one rolled off the production line behind the other in 1972, with the bikes' frame numbers showing 00212 and 00213, respectively. Produced over 45-years-ago, the Z1 was full of cutting-edge kit for the time, boasting dual-disc front brakes and a rear drum and a claimed 82bhp at the back wheel. Originally marketed as a supersports-tourer, the Z1’s seat offers sumblime levels of comfort in contrast to today’s thinly padded options. It's plush, with low-positioned pegs and high bars, making the bike a very comfortable steed all the way up to the magic ton, before wind blast takes over. We doubt the new owner(s) will be testing this though.